OneVPN and CyberGhost both fall into the category of top-tier VPN providers, which is why it is not a least bit surprising that so many people have a hard time deciding which of these two VPNs to sign up for. One way to decide is to look at specific areas of service and see which of them does better. CyberGhost offers feature-rich services at reasonable prices with a 30-day money back guarantee and a free trial. Great speeds and an easy to use custom client make this provider one of the most popular VPN providers around. QUESTION , CAN CYBER GHOST BE USED TO CHEAT IN A RELATIONSHIP? (i.e: UNDETECTED IG, Facebook, phone numbers, texts) if so how ??? this vpn is 5 star. best ive ever used. super fast and discreet browsing. honestly my only complaint is that it wants me to keep rating it once im off. also dont change display to bigger views or you might never close this program. it will blow up so big youi wont be able to do anything with it. your options are program manager to close it or restart lol. CyberGhost offers a myriad of handy features in order to meet the varying needs of its clients. 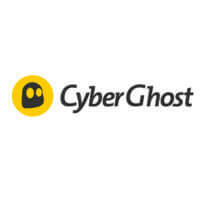 Read this CyberGhost review and find out what makes it one of the most powerful VPNs on the market.